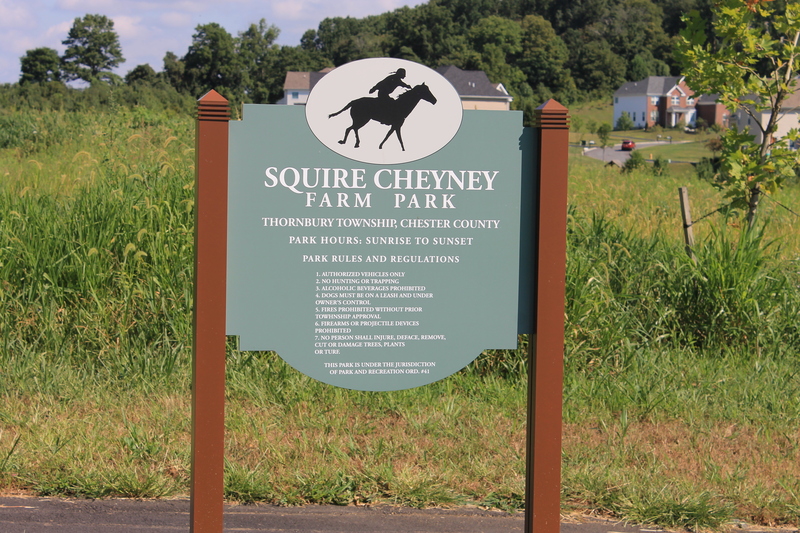 The Township was awarded grant funding from Chester County, PECO Green Region and the Pennsylvania Department of Conservation and Natural Resources to make recreational improvements at Squire Cheyney Park which included walking trails, rest areas and interpretive signs for the historic property. 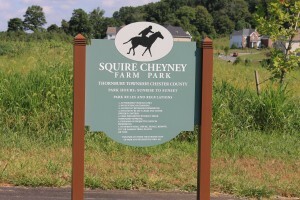 Squire Cheyney Park consists of 52 acres of Township owned land and is part of the historic property of Squire Thomas Cheyney. The property will be used to grow crops as a suburban area farm, and the long term plans for the property include a passive recreational, historic, and agricultural/natural use. The project created approximately 1.5 miles of walking trails with trailside features including wetlands, a historic springhouse, agricultural land, historic and natural education signs, and various watersheds. 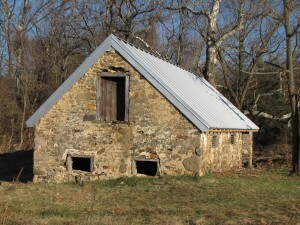 The trail route consists of one loop located near the site of the house and barn. The loop is connected via a trail to the Preserve at Squire Cheyney Subdivision and to Anne’s Parcel which is on the north end of Squire Cheyney Park. 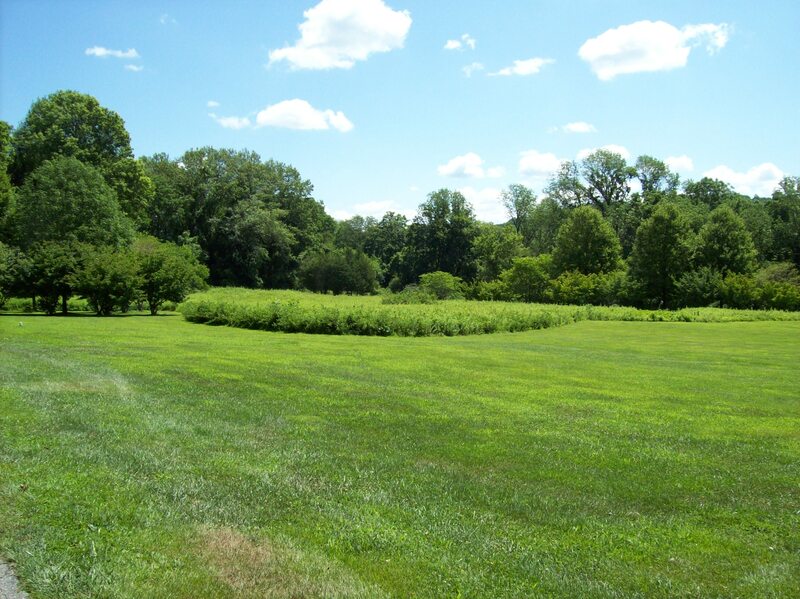 The Thornbury Township Board of Supervisors, staff, and residents value the preservation of open space. This park, as identified in the Comprehensive Plan and the Squire Cheyney & Waln Run Park Master Plan, is a top priority for the Township as a means to provide passive recreation that will benefit the residents of Thornbury Township. Park Rules – The park is open from dawn to dusk and is subject to the rules posted at the park entrance. Fire and alcoholic beverages are NOT permitted at any time. Dogs must be leashed at all times. Goose Creek Park is located off of Route 926, two mile s east of Route 202. The park offers 12 acres of developed open space, a 1/2 mile walking trail, children’s playground equipment, and a 30′ x 40′ covered pavilion. Goose Creek Park also feautres Geocaching! For more information on Geochaching visit www.geocaching.com. Reservations for the pavillion are required. For additional information contact the Township Office 610-399-1425. 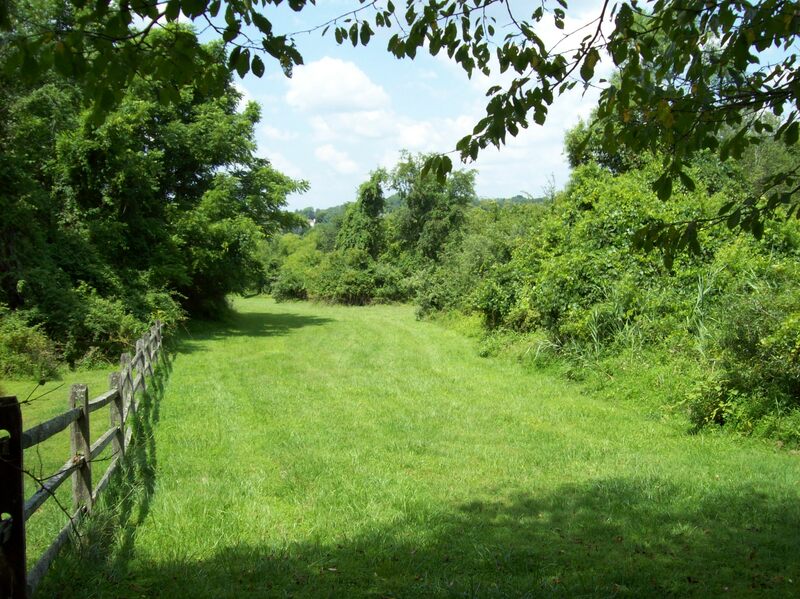 Waln Run Tract is located on Westtown-Thornton Road and the 11.6 acres of open space that remain undeveloped at this time. The Thornbury Soccer Park is located on Westtown Road at its intersection with Street Road (Route 926). The Soccer Park is 35.4 acres of soccer fields and woodlands. The New Street Tract is a 3.8 acre parcel located at 1274 S. New Street. This tract remains open space and at present time there are no plans to develop this site.